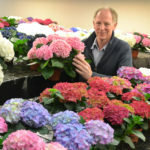 De Kwakel, 5 November 2018 – From 7 – 9 November we welcome you in our HBA stand 19.18 in Hall 2 at the FloraHolland Trade Fair Aalsmeer. New are the double-flowered Royal Kiss and Royal Anastasia and the single blue Royal Parade. Just like the other Royal varieties – our winter pruning series – they are extremely suitable for cold and heated cultivation. 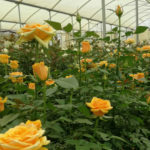 The Classics show a beautiful color richness and excel in keeping quality. 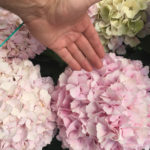 Discover all HBA varieties on the new HBA site www.hydrangeabreeders.nl. We also show a selection of majestic DEWI Delphiniums. 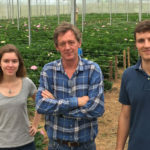 Top material from Dutch origin, grown in Kenya. 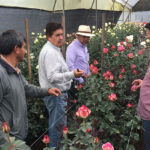 The breeding and selection program of Agriom and Nico Wigchert focuses on climate-specific varieties for temperate and (sub) tropical growing areas.